2. Graphite crucible must be kept in a dry place or on a wooden frame. 3. Handle with light release, forbid to slam. 4, before the use in hot baking, drying equipment or stove temperature up to 500 ℃. 5. The crucible should be placed on the top of the hearth to prevent the furnace cover from wearing out. 6. When adding materials, the melting pot should not be too much, too tight to prevent the crucible. 7. The baked goods and crucible should conform to the shape of the crucible. 8. Remove the slag from the surface of the crucible and to prevent the crucible from being damaged. 9. The crucible should be suitable for distance between the furnace wall and the crucible should be in the center of the furnace. 10. Apply proper amount of fuel and additives to reduce the life of the crucible. 11. During the process, the crucible can be turned once a week to prolong the life of the crucible. 12. Guard against strong corrosion flame spray crucible side and bottom. On April 9, 2010, the relevant departments, according to sun as the national standardization committee, director of the steel, China's refractories industry association executive vice President and secretary general Xu Dianli, sichuan institute of engineering material and chemical engineering institute, vice President of Chen and so on more than 30 experts and scholars of c. authorized, the first domestic graphite crucible national standards will hopefully. On April 8, 2010, in the climate pleasant attraction, shuicheng xinjian flower dance, the national steel standardization committee, director of the sun, China's refractories industry association executive vice President and secretary general Xu Dianli, sichuan institute of engineering material and chemical engineering institute, vice President of Chen and so on more than 30 experts and scholars gathered, c. enterprise of xinjian industrial park - chengdu tianfu graphite crucible co., LTD., drafting of the graphite crucible for review and approval. "This professional review will fill the gaps in the domestic graphite crucible without national standards." The expert briefed the reporter. Looking for ideal Artificial Insulated Graphite Crucible Manufacturer & supplier ? We have a wide selection at great prices to help you get creative. All the Natural Insulated Graphite Crucible are quality guaranteed. 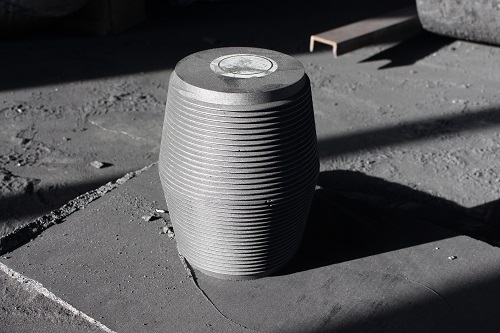 We are China Origin Factory of Special Insulated Graphite Crucible. If you have any question, please feel free to contact us.